A more rigid ankle articulation restricts ankle dorsiflexion and plantarflexion to a range under 5 degrees without disrupting a smooth contact and heel rise phase of gait. 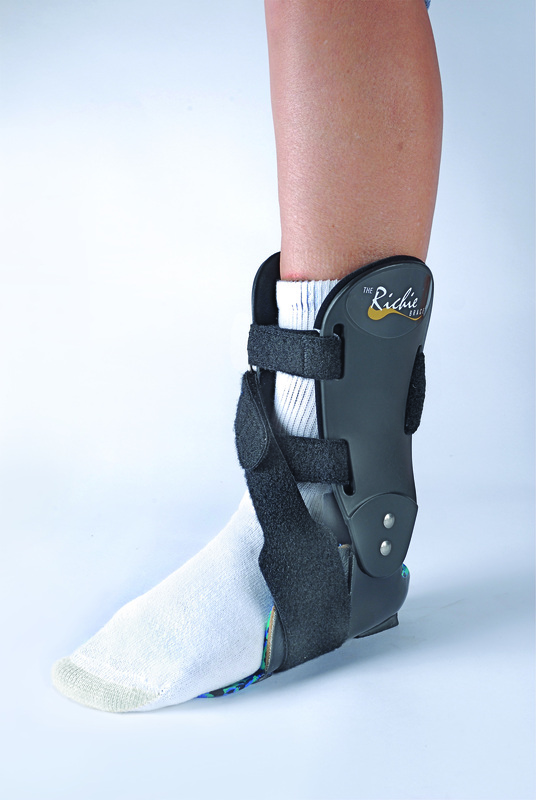 – A patented innovation provides an adjustable lifting strap under talo-navicular joint to resist collapse of the medial arch as well as eversion of the ankle and hindfoot. This modification is indicated for severe PTTD and severe pronation disorders of the hindfoot. – A patented innovation provides an adjustable lifting strap under the calcaneal-cuboid joint to resist inversion of the ankle or hindfoot. This modification is indicated for Peroneal Tendinopathy as well as Varus deformity of the ankle and hindfoot.